You are at:Home»Blog-News U can Use»What Do You Mean I Should Worry About My Suppliers? I’m sure that each one of you has many “supplier of choice” awards on your corporate walls and kudos to you. 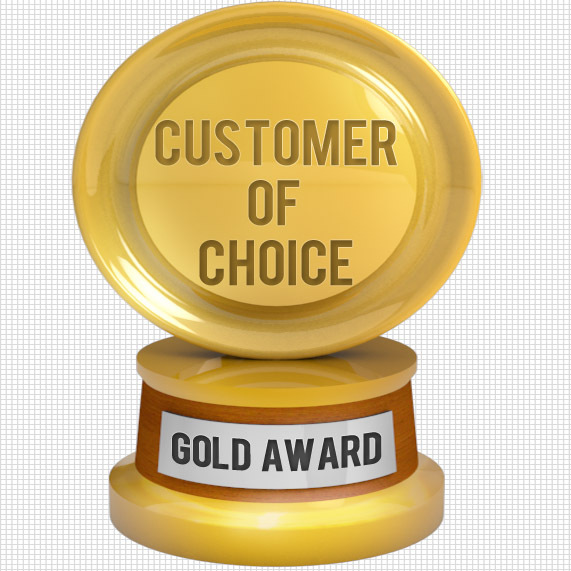 How many “customer of choice” awards do you have? Does your company even care that it does or does not? Should it care? We’ve discussed this concept before and are going to expand on it today. Just like you rate your suppliers, your suppliers rate you. Surprised? You shouldn’t be because they have a business to run too. And they need to understand which customer is most profitable, least “overhead ” (nuisance factor), give referrals, etc., etc. Just like you have your Value Drivers – so do they and they rank customers based on meeting those Value Drivers. Whether you know it or not, you develop a reputation as a customer that actually has significant potential value for your organization. So why should you care about what your supplier thinks of you? Do you care about being on the radar screen of the supplier executives – not just the sales team? Do you care that the best resources (the A team) gets assigned to you? Do you care that in times of scarcity, your orders are filled first? Do you care that when an emergency happens, your calls are returned immediately? Do you care that supplier innovations are shared with you prior to your competition? Do you care that the supplier shares with you Best Practices from all of their other customers? Do you care that the supplier is willing to share some of the risks with you? Do you care that the supplier is willing to partner with you to enter new markets? Develop new products? Do you care that the supplier is willing to work with you to transfer their knowledge to your people to build your internal competency? Getting your company to change is another matter. The assumption that supplier relationships are inherently adversarial is a widely held belief that is almost unshakeable and drives decisions and behaviors. The assumption that all suppliers are out to get us and must be watched like a hawk is pervasive – and this in an environment where more and more of our Value Chain is dependent on an ecosystem of suppliers. The notion that suppliers must be willing to cut their prices every year, regardless of business conditions, is still the mantra for many companies. We often work on very significant Transformation efforts where Change Management issues are humongous. This type of strategic/management consulting does not lend itself to granular detail level scoping or tracking. It requires that we be exposed to and work with Senior Management to build support on behalf of the client team and not be relegated to the back room producing deliverables. It requires that the leadership actively engage with us in helping to lead and personally take over the Transformation as opposed to pushing the effort down into the organization. It requires an understanding that this type of work cannot be exactly scoped out and either we will have to build in a fair amount of scope “fudge” up front in our estimate or the client will need to accept that the effort may exceed the original estimates. Yet clients fail to recognize many of these factors and continue to work with us at a transactional level wanting to assign resources at their end to reconcile and track all of our time and expenses (we’re very frugal so they never find anything), how many hours it takes to prepare and attend meetings, why the effort take extra time (stakeholder interviews were doubled by client) etc., etc. How long do you think they last on the “Customer of Choice” list? They would never work with McKinsey like that – McKinsey wouldn’t let them. We call this the McKinsey factor. I could go on but I think I’ve made the point. There is significant value in being the customer of choice and you ought to make sure that your company understands that and acts accordingly. Next Article Are you Attracting the “A” Team?